The Super GT silly season is severely affected by Aguri Suzuki's SAF1 team – writes Tomoko Kobayashi. Ex-ARTA supported IMPUL driver Yuji Ide has left Nissan for Formula 1, but the new F1 team could not sort the deal out properly until mid January, so the line-ups are being shuffled around. 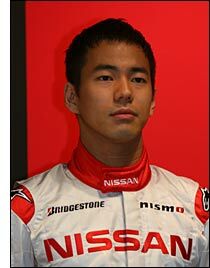 Kazuki Hoshino is Benoit Trulyer’s partner in the #12 Team Impul Nissan. Former British and Euroseries Formula 3 driver Sakon Yamamoto (right) had been expected to stay with Toyota Team TOMs this year but surprisingly left after only one season, to seek a new challenge. That will be in the #22 NISMO Nissan, with Michael Krumm, replacing Masataka Yanagida. 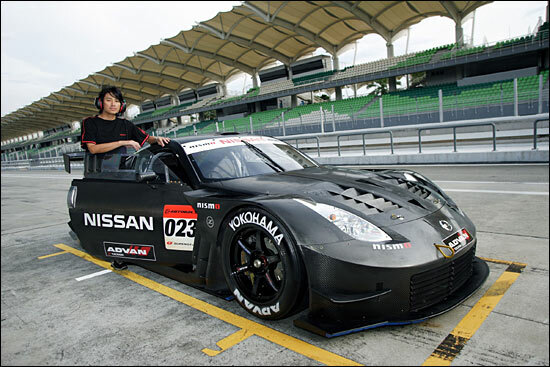 And the former Nakajima driver Tsugio Matsuda has joined the NISMO squad, to support Satoshi Motoyama, the "fastest driver in Japan", in the #23 car. The ARTA and Takata Dome Hondas continue with the same driver line-ups as last season, while the Team Kunimitsu RAYBRIG NSX keeps Sebastian Philippe in its lineup, but he’s now partnered by GT300 NSX double winner Shinya Hosokawa, who makes his GT500 debut with the team. The EPSON NSX features an all-new lineup this season. Out goes Andre Lotterer and Tsugio Matsuda and in come Loic Duval / Hideki Mutoh. Team Director Satoru Nakajima: "This season, we've chosen a combination of two 23 year-old drivers for our campaign. We believe they will bring youth, and will provide a strong challenge and thrilling racing! However, our main aim is for strong results from our young drivers." Only one seat is left in the GT500 Class in Toyota Team SARD, and will likely be filled (alongside Andre Couto) by Toyota-supported youngster Katsuyuki Hiranaka, reigning GT300 champion Kohta Sasaki, or Kraft-refugee Shigekazu Wakisaka, younger brother of TOM's driver Juichi. And then there's the Ara / Magnussen Maserati MC12, which has been well documented already. February 14 - 16 saw three days of testing at Suzuka, with all three GT500 manufacturers taking part. This was the first official view of the new Lexus SC430. 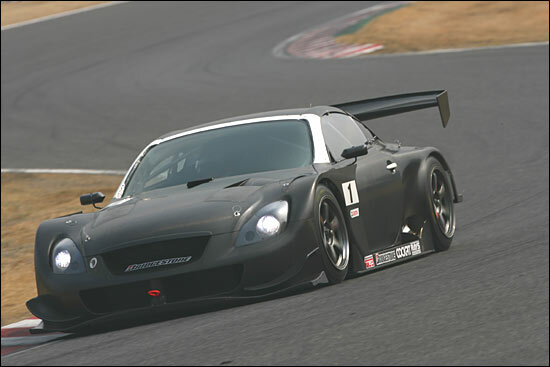 This is the Yuji Tachikawa / Toranosuke Takagi Cerumo car. Beneath that is the #23 Nissan of Motoyama / Matsuda. It’s all change in GT300: the M-TEC Honda NSX has left the class, as has the 2005 GT300 championship-winning Team Reckless Toyota MR-S. And the Garaiya as well - but the team itself will stay in the series with a change of name and car (a Toyota MR-S, #010). There are some eye-catching new cars like the Ford GT (for Hidetoshi Mitsusada / Daisuke Ikeda) and the Mooncraft Shiden. Based on a modified Riley Daytona Prototype chassis, the “Shiden” name harks back to a famous Mooncraft racecar of the 1970s. Hiroki Katoh is one of the drivers. Two brothers of former M-Tec NSX driver Haruki Kurosawa, Takuya (who has also briefly raced in CART) and Tsubasa will drive a Vemac 350R. The team manager is said to be their father Motoharu Kurosawa, also a former racer. The Hankook tyre marque joins the series for the first time; they will supply their tyres to one team for the time being (the #14 Endless Porsche). This makes six tyre manufacturers and a wide variety of machines, all in one series - Super GT is becoming more interesting all the time.